Just like that, it was my turn. I stepped up to the tee markers and put my peg in the ground, just like I had done thousands of times before. The only difference was that I wasn't ready. I wasn't even close to being ready. The last 15 holes had been a blur. At that moment, I wasn't even sure what I was doing in California or how I got there. Only that I was here and it was my turn. There was no turning back now. So with nowhere to hide, I stared at the target in the distance, took a deep breath and went through my normal pre-shot routine. Ridiculously strong grip…check. Feet completely misaligned…yup. Shoulders 10 degrees closed…on. A mini-waggle and a shift back-and-forth between my feet and suddenly it's just me, my Titleist and my thoughts. A dangerous combination. When it comes to last-second swing thoughts, I've spent the last two years grasping for something…anything that works. Keep your head down. Swing through. Attack from the inside. It's like there was a little man inside my head spinning a The-Price-Is-Right wheel with every tip I ever read in Golf Digest on one of the panels. Something might stick for a swing or two. Invariably, all paths eventually led back to another spin in the Showcase Showdown. Standing on the 16th tee, staring down at my ball and, ready or not, about to pull the trigger, one last thought flashed through my brain. It was a new one. How in the heck do I only hit this driver 230 yards? Before we get to the results of that swing, we need to take a big step back. Because this golf adventure actually started in my basement five months prior. It was October 20, 2009. Or in other words, my 36th birthday. Or Snoop Dogg's 37th birthday. Take your pick. While Snoop was probably celebrating by smoking some Chronic and sipping on some gin and juice (with his mind on his money and his money on his mind), this D-O-double was coping with the term 'middle-aged' with a steady diet of hopelessness and self-loathing. The last year had seen my once-respected banking profession turned into a punchline and general root of all evil. The declines in my 401k and home value had been offset by all-time high stress levels, an unhealthy Coke habit (cola, that is) and exponential growth in two key indices: Body Mass and USGA Handicap, only one resembling Phil Mickelson. I imagine some would deal with this early-onset mid-life crisis by getting a tattoo, a convertible, a mistress or some combination thereof. I dealt with it the only way I knew how: by becoming the starting point guard for the 2009-10 Chicago Bulls. So there I was, in my basement late the night of my birthday, playing NBA2K10 on XBox with an ageless 6'7" Jim Colton tearing through the league as the greatest triple double threat since Oscar Robertson. So what does this have to do with golf? Not much. But right in the middle of this pity party, somewhere between my third or fourth simulated NBA season and my fifth or sixth actual Coke, my phone lit up with a text message from Kyle H., the buff golf course architecture buff from Northern California. You may recall Kyle and I battling a hail storm (and losing) on the 8th and 9th fairways at Ballyneal last summer, a strong bond forged out of the ashes of this near-death experience. Before July, Kyle didn't know me from Adam. Less than four months later, his out-of-the-blue text snapped me right out of my mid-life doldrums. "Sir, I am delighted to extend an invitation to Cypress Point. When are you available?" "My host needs a couple of months advanced notice." "Literally any day works for me. That's the best b-day present ever." And just like that, the wheels were set in motion to play Cypress Point, Alister Mackenzie's masterpiece on the Monterey Peninsula. Cypress Point is unanimously considered one the top five golf courses in the world and THE number one course on my bucket list. 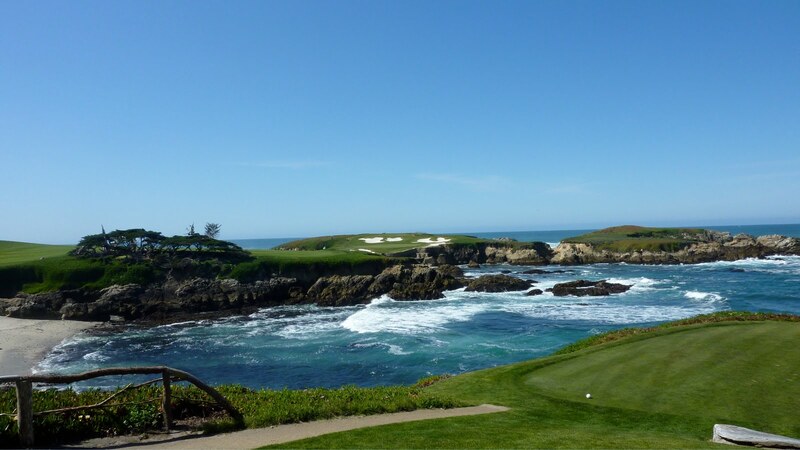 Cypress Point! 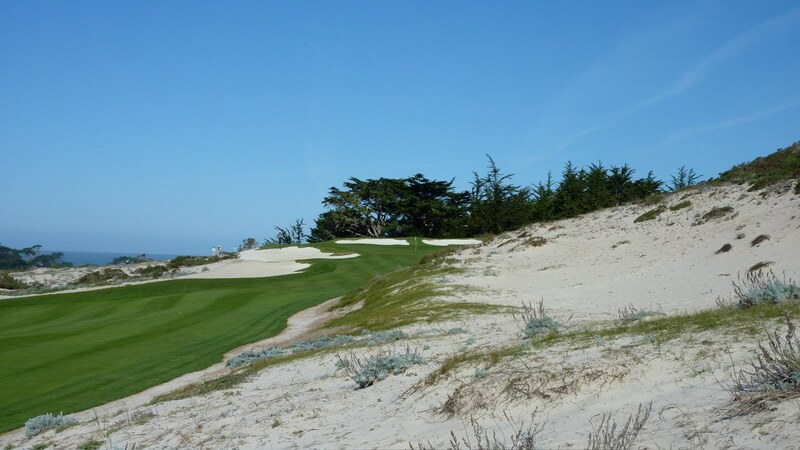 Eighteen months ago, courses like Sand Hills and Cypress Point were an absolute pipe dream. I never actually thought I'd get the chance to play them in this or any lifetime. Certainly not two of them in one year. Setting the date for our round at Cypress Point proved to be more elusive than a straight answer from Tiger on how he spent his Thanksgiving. First, Kyle was looking at mid-November. Then December 17th was the date. Then April 22nd. Then April 29th. Along the way, I questioned whether it was really going to happen. I treaded carefully on GolfClubAtlas, making sure not to post anything stupid (hard for me) that would lead to getting SoupNazi'd. Then on December 31st, the date was finally set in stone. 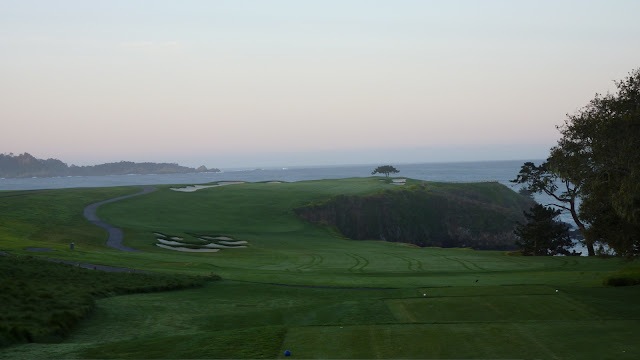 On Thursday March 11th at around 7:30 a.m., I would be teeing off at Cypress Point. 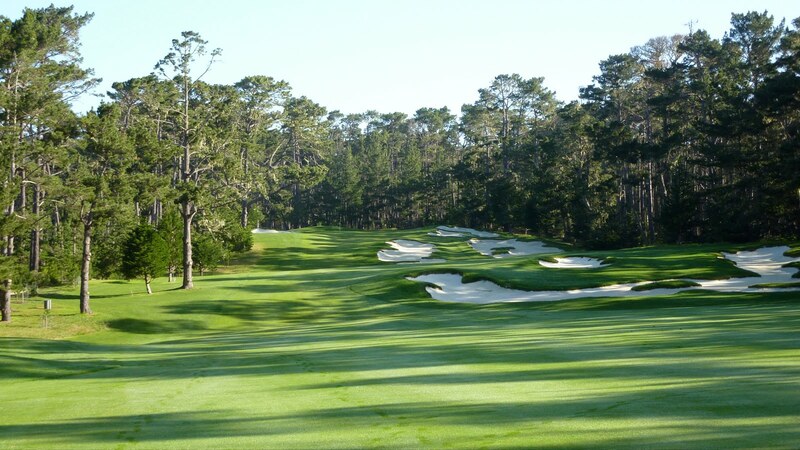 The next two months were spent daydreaming about Cypress and building a golf trip around the 11th. There were more potential itineraries tossed around than Tiger mistresses (last lame Tiger analogy, I promise.) Multiple sources told me I simply "had to" play Pebble Beach next door, seemingly blind to the fact that it was $495/round to play there. I toyed with some potential scenarios involving my father-in-law Ken, good buddy Jimbo and favorite New York city cop Brad F. that might make sticking around the weekend and taking the P.B. plunge worth the per capita income of Sierra Leone. 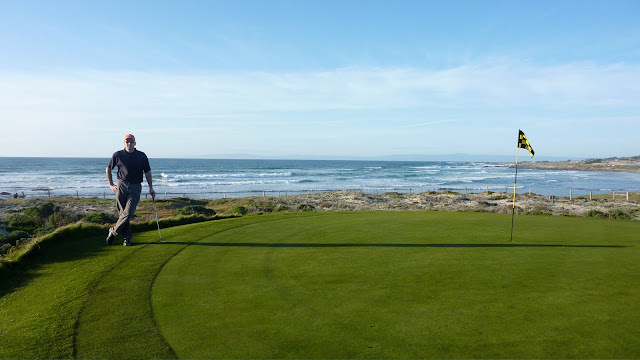 Jimbo and I even considered heading up to Bandon Dunes for a few days after San Francisco, going as far as booking rooms, making tee times and trying to get a sneak preview round at Old Macdonald a few months before its official grand opening. Unfortunately, Jimbo backed out faster than Tiger's sponsors (sorry, I couldn't help myself), and ultimately the trip was whittled down to its bare bones: fly out Wednesday morning, golf Wednesday afternoon, 36 holes Thursday, 18 on Friday then back to Chicago on the redeye Friday night. Pebble Beach would have to wait. Still, it was going to be a trip of a lifetime. [Not even my wife breaking out in a mean case of hives days before my scheduled departure was going to stop me from crossing this one off the list. In true Husband of the Year fashion, below is a transcript of my 4:00 a.m. sendoff. "Best of luck with that, honey. Give me a call if things take a turn for the worse. You should know, however, that Monterey is notoriously bad for cell-phone reception. I dunno, something about the thick ocean air. Well my taxi's here, I gotta go. See ya, wouldn't wanna be ya." I arrived at San Francisco International without incident, although it took 35 anxious minutes for my golf clubs to finally surface in the baggage claim ($22 baggage fee well spent). I was being picked up by Jon, one of the other guys lucky enough to be on Kyle's good side when he got the CPC invite (Kyle's dad, Scott, was the fourth). 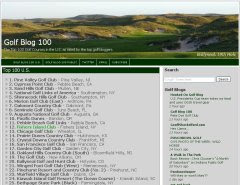 Jon and I met during my first trip to Ballyneal back in 2008. Jefe and I had coined him "The Lama" for his prodigious length off the tee. I had never seen anybody hit a golf ball that far. Until I got to San Francisco. 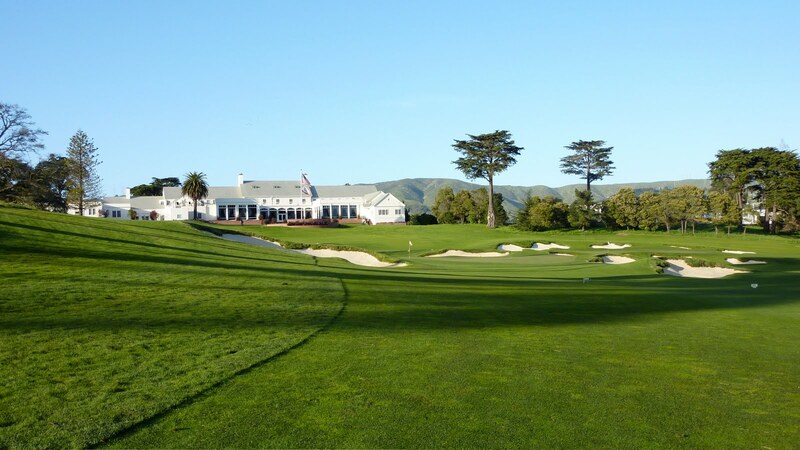 Jon hooked us up at the Cal Club, a private club just minutes from the airport. The Cal Club recently went through a complete renovation by designer Kyle Phillips, and by all accounts, the course today is better than it's ever been. Phillips addressed drainage issues that were a big problem (common among Northern California clubs, on Google Maps you can see the course when it was in all torn up), brought back the classic Mackenzie bunkering and deftly designed four or five completely new holes that blended seamlessly with the rest of the golf course (not an easy task at all). 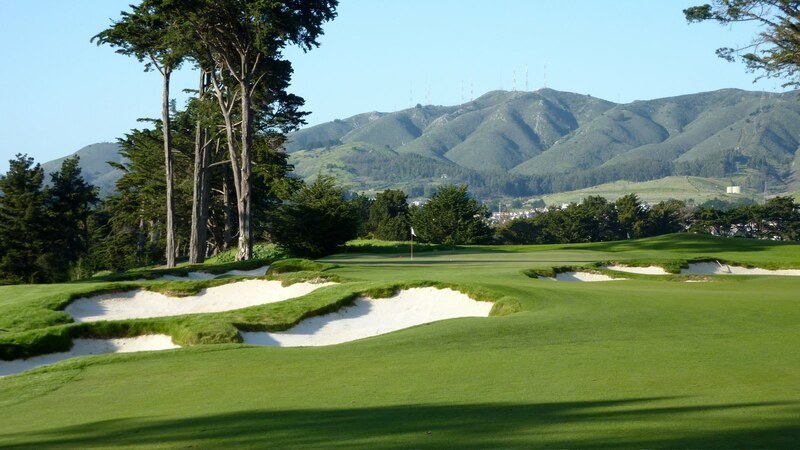 Today, Cal Club is in the conversation of best golf courses in San Francisco. The afternoon at the Cal Club was spent playing "One of These Things is Not Like the Others". In one corner, you had three guys who all played golf at Santa Clara. Jon, his college buddy Andy, who is a golf pro in the area, and Kellen, Andy's assistant, recent college grad and budding mini-tour player. In the other corner, you had the basket case from the midwest who hadn't played a round of golf since last September. To add insult to injury, the terms of the match were negotiated after the first hole (a par 5 that Jon and Kellen easily birdied) and it was determined that Kellen would have to give me TWENTY strokes to keep things interesting. Yet another blow to my already fragile ego. Twenty strokes turned out to be just right. While Kellen put on an impressive display of shotmaking (case in point, first hole: 320-yard blast with about 10 yards of fade. Second hole: 310-yards with about 5 yards of draw.) and was right there or past The Lama all day, I was hitting low screaming duck hooks en route to a season-opening 96. However, my lackluster play didn't prevent me from enjoying the course. The Cal Club is rock solid from beginning to end. Phillips did a fantastic job of bringing back the character of the classic design, and added to it with the new holes. 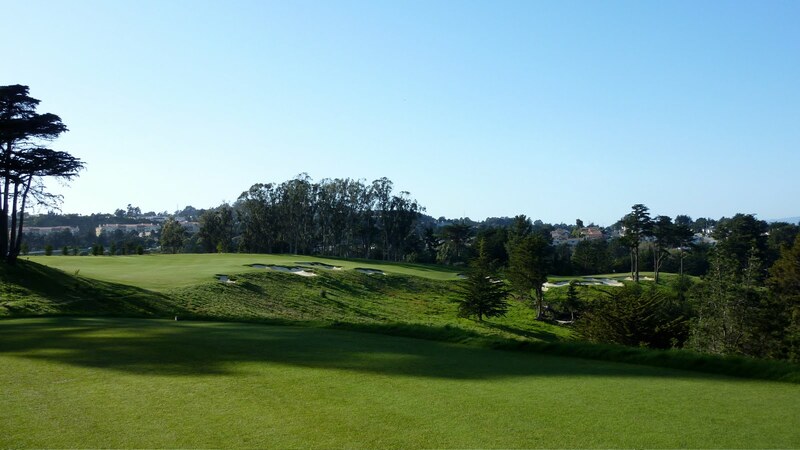 The 8th hole, for example is a long par 3 where the run-up area bleeds into the start of an adjacent fairway. It looks like one of the originals but is actually a new one. The coolest part of the routing is the 11th, 12th and 18th holes, which all just blend together with the stately clubhouse as a backdrop. Previously, there was a manmade pond guarding the 18th green. 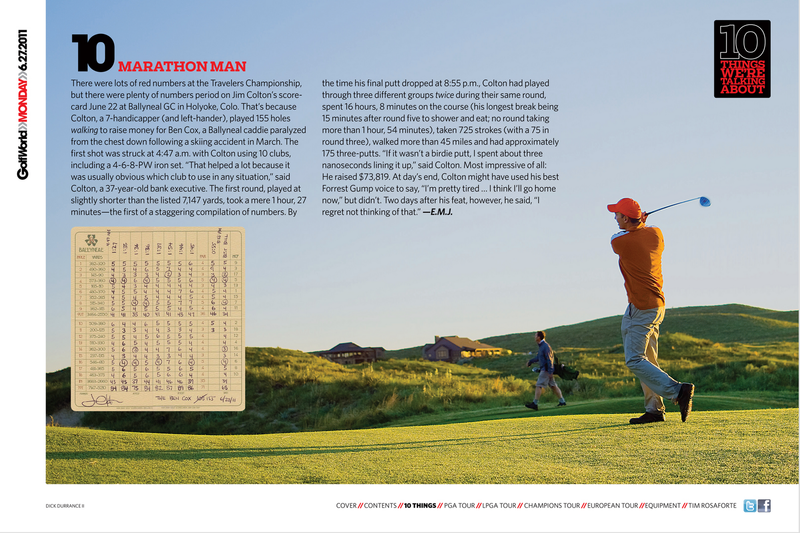 Using old photographs as a guide, Phillips brought the 18th back almost exactly as Mackenzie had envisioned it back in the 1930's. After Cal Club, we made the drive down to Monterey to meet up with the rest of the group. Most of the two-hour trip was spent talking about either Cypress Point, vasectomies or prostate exams, Jon being the resident expert in each. He was still reeling from getting clipped just a couple months earlier, and had learned to cope with the emasculation by telling everyone he knew about the experience. I started to feel sorry for the guy, but then remembered he hits the ball 350 yards, has a +1.6 index and that we are the same age. Is this what I had to look forward to? This middle-aged thing is for the birds! Thursday morning couldn't get here fast enough. Jon and I were up at the crack of dawn for what was originally billed as a range session at Pebble Beach (guests can't use the practice area at CPC), but later turned into a hard-target search every coffeehouse, drug store, grocery, outhouse, henhouse and doghouse in a six-mile radius (always wanted to say that) looking for the proper medication and lubrication to get the Lama machine up and running. Eventually, we made it to the famous 17-Mile Drive, checked out a couple holes at Pebble Beach and hit balls for five minutes before heading over to Cypress Point to meet Kyle and Scott. It's not hard to see why the Peninsula is one of the top golf destinations on the planet. Rugged terrain, beautiful jagged coastline, tons of ancient cypress trees, mild temperatures and great golf courses right on top of each other. What more could you ask for? Look out one side of the car and you see giant waves crashing against the rocks. 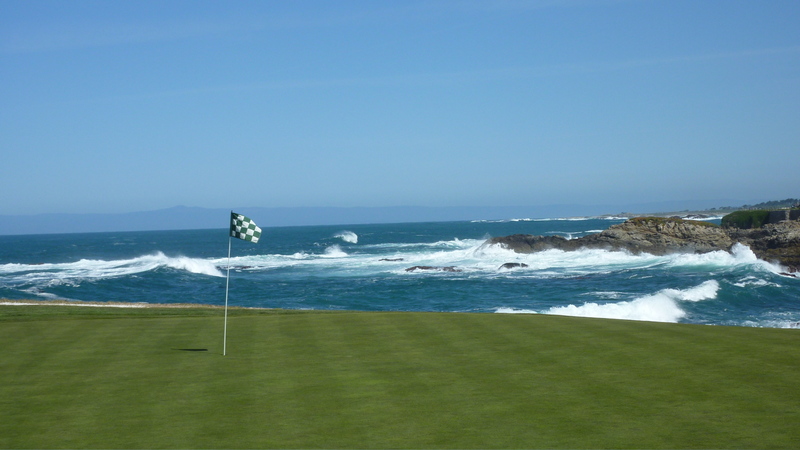 Look out the other side and you might see Pebble Beach, Cypress Point, Spyglass Hill, Spanish Bay or Monterey Peninsula Country Club. 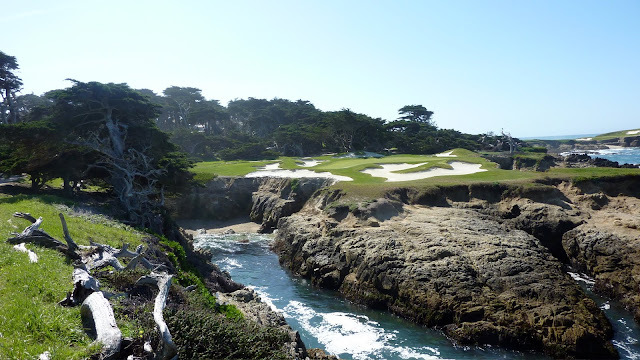 Pebble Beach gets the publicity from the Pro-Am and the U.S. Open, but Cypress Point is the crown jewel of the Peninsula, if not the golfing world. It is no hyperbole to call Cypress Point the most beautiful golf course on the planet. 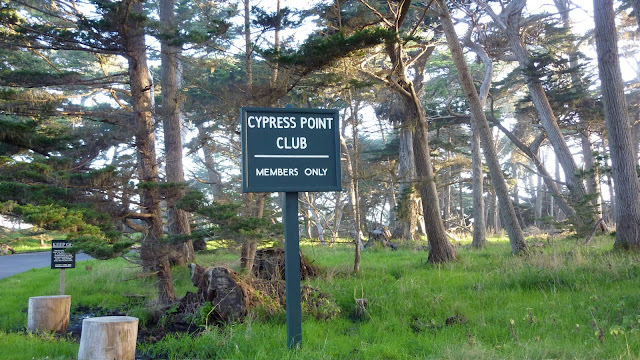 Samuel Morse, the visionary behind the Peninsula, once said, "No one but a poet should be allowed to write of the beauties of the Cypress Point Club," so I won't even try. [Note: Geoff Shackelford's book, "Alister MacKenzie's Cypress Point Club," is an absolute must if you get the chance to play CPC or want to learn more about it. Highly recommended.] But I will say that the beauty is more than skin deep -- the course provides significant strategic interest, challenge and excitement as well. The routing is simply sublime, with ebb and flow and seamless transition through woods, dunes and ocean throughout the round. The crescendo at the famous par 3 16th is well known, but the front nine, particularly the stretch from the 5th to 9th holes, is very strong. Scott and Kyle were already at the club when we got there, Kyle single-handedly trying to stimulate the economy with his pro shop purchases. There are no set tee times, so it was unclear when we would be heading off. There was an unusually large group of golfers assembled around the putting green and first tee when we got there. It turns out the Penn golf team was there to play the course, no doubt sponsored by a proud alum. Thankfully, we were the second group off the tee, ahead of the large group of Ivy Leaguers. Unfortunately, that meant having to tee off in front of a bunch of college golfers. The first hole at Cypress is a little bizarre -- you have to hit over a large hedge about 40 yards off the tee. Considering I didn't hit a single drive more than six feet off-the-ground at the Cal Club, this hedge was going to present a serious challenge. Especially with an audience. Jon later confessed that he was worried that we might be there all day. Thankfully, I put my best swing on it and blasted one over the hedge and down the left side of the fairway. Seconds later, we were off the tee box and walking Cypress Point on an unusually clear and sunny day. As I mentioned, Mackenzie's routing is sheer genius and he brings you in and out of different environments. 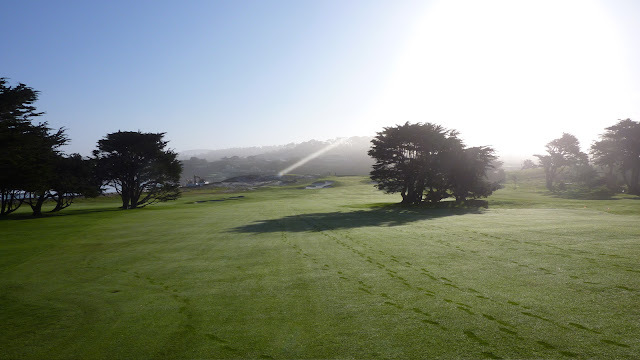 The downhill par-4 opener brings you out towards the ocean right from the start. Then the 2nd crosses the dunes and heads towards the woods, where you stay for the 4th and 5th. There's a large dune that bisects the property. 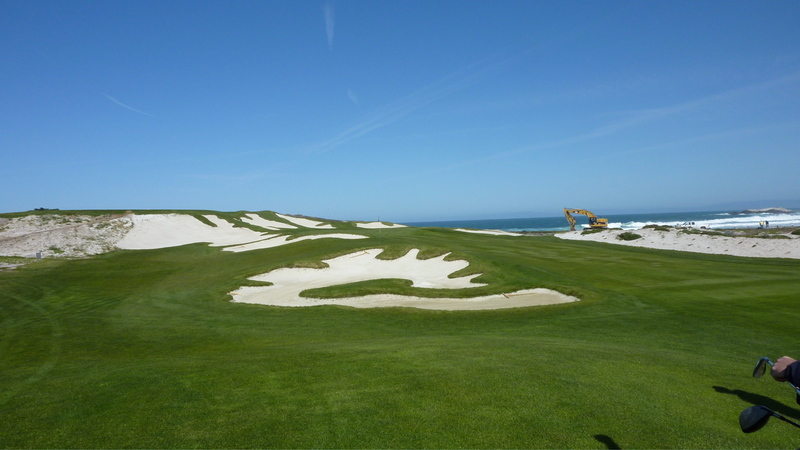 The 6th hole is a par 5 that plays to the base of the dune. The 7th is a par 3 that tees off on top of the dune. The 8th plays sharply around the dune. The 9th is a short par 4 playing into the dune again. The 10th goes back into the woods with 11th heading right back to the base of the dune. The 12th brings you out in the open on the ocean side of the dune, building up to the world famous 15th, 16th and 17th holes along the rocks before heading back inland for the 18th. Somewhat surprisingly, I started off playing relatively well on the front nine, only running into trouble on a couple loose swings or when I found the wrong side of the hole. The 7th hole ended up being my undoing, as I pushed a tee shot well left into the dune above the hole, played a nifty little flop shot that landed in the one spot that it had to land, but watched as the ball started and stopped four or five times as it rolled down the slope, past the hole and a good 10 yards off the green. A triple-bogey 6 there was a huge black mark on an otherwise okay 7-over 44 on the front. The back nine was not so kind. I made a huge unforced error on the 10th after a solid drive, pushing my second shot left for no apparent reason then shtoinking a tree on my third shot. Apparently simply looking at Mackenzie's beautiful bunkering wasn't good enough; I felt the need to experience them first hand as well. I was Hasselhoffed on the 10th, 14th, 15th and 17th, and any chance to score well went out the window. Obviously, you rather play well than not play well, but score is largely irrelevant at Cypress Point. The key factors are the experience of playing the course and how well you do on the famous 16th hole, the best par 3 1/2 in the world. I had been thinking about the 16th hole ever since Kyle texted me back in October. 233 yards of sheer terror on some of the most dramatic terrain ever used for golf. 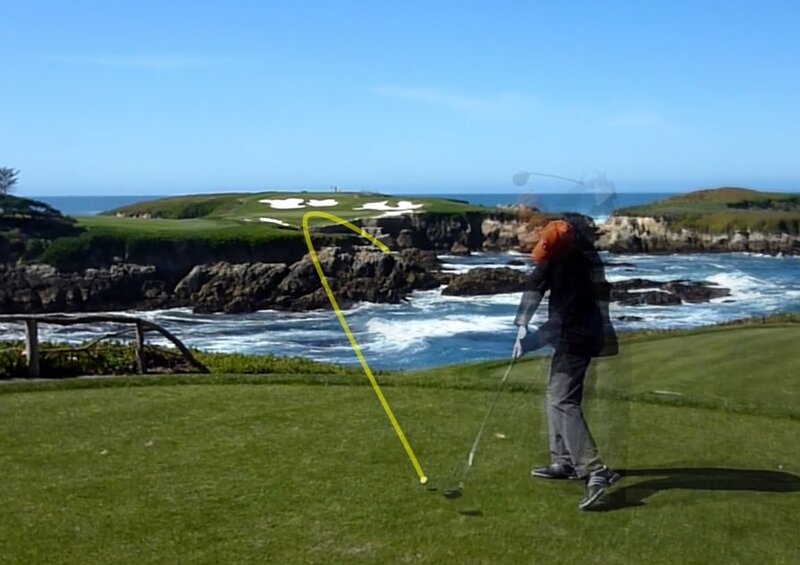 The 16th hole is constantly in the back of your mind throughout the round, and is fully in your dome by the time you reach the 12th tee and start making the march towards the ocean. I found it difficult to concentrate on holes 12, 13 and 14 (all world-class par 4's in their own right) knowing that the 16th was just around the corner. After playing the 14th, you make a two-minute walk on a paved path right along the Pacific. Then you turn around a bend and BAM! You're standing on the 15th tee box with a broad view of the back-to-back par 3's -- the short 15th immediately in front of you and the 16th way off in the distance. The rock formations almost look too good to be real, they look like something out of an amusement park. After playing the 15th, you make another similar walk to the next tee. 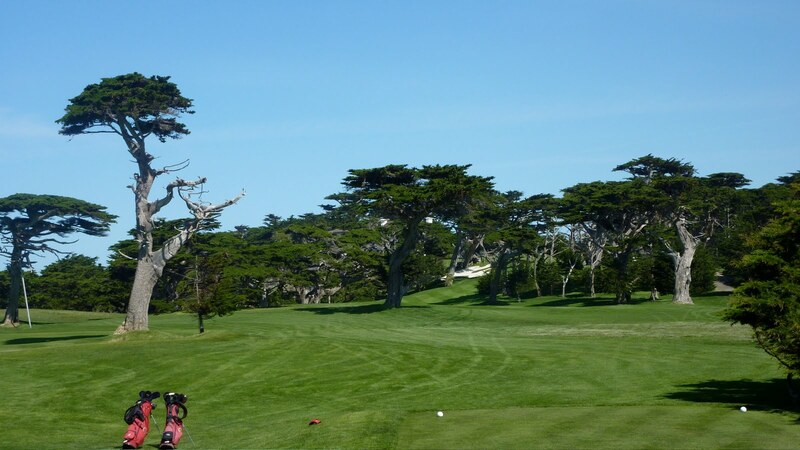 This time, you are shaded by cypress trees on either side of the path, so you can only catch glimpses of the 16th green here and there as you move forward. You can't help but be startled by just how far away the green is. Is this really a par 3? Then you come through the cypress chute and get the full monty. The 16th in its full glory. We had arrived. The closest thing to Golf Heaven on Earth. I had been dreaming about this golf shot ever since I was a kid and, as I mentioned, had been thinking seriously about this tee shot for months. The Saturday prior to leaving was the first nice day of the year in Chicago (read: 45 degrees and sunny) and that means people surface for the first time in months -- either to wash the grime off the car or the rust off the golf game. I met Jefe and Jimbo at a packed driving range, taking the opportunity to a) remind them I was playing Cypress Point and they weren't and b) audition clubs for the honor of being THE club I'd hit on the 16th tee. I dusted off and tried every old 3-wood, 2-wood, long iron and hybrid that I could find in my basement. Nothing stood out as the clear answer, but ultimately I decided that 3-iron was the club of choice. Only upon reaching the 16th tee did I realize just how wrong I was. I knew it was 230 yards to the hole with room to bail out left, but I had no idea just how all-or-nothing the tee shot was until I stood there in person. For some reason, I thought I could bring the shot in from the left and a carry of 200 yards or so would be sufficient. That's how I came up with 3-iron. But 200 yards of carry isn't going to get you anything but wet. There is room to lay-up left, but you have to do it well left and way back, like hit a 7-iron and play it as a par 4. Well, given the fact it's a once in a lifetime kind of shot, you're not going to pull out the skirt and play for a 4. You have to go for it. And since I didn't bother bringing my 3-wood, that's how I ended up standing on one of the most famous golf holes in the world trying to manufacture a bunt driver on the fly. I could let you imagine how that swing turned out. Or I could show you documented footage on what actually happened. I'm willing to bet that you weren't that far off. I put a hurried 80% swing on the ball, never fully transitioned at the top, and hit a low screamer that just missed reaching the green by, oh, about 80 or 90 yards. Oh the humanity! You can even hear the painful thud of the ball hitting the rocks on the video. I die a little on the inside each time I hear that cruel sound. There are no hazard markers on the hole, so unless I wanted to climb down the cliff and battle the sea otters, my only option was to reload and hit three. The second swing wasn't much better than the first, but the ball got airborne and went through the fairway left of the green. One benevolent foot wedge from the caddie out of the ice plant later and I was hitting a half-wedge shot to the green for my fourth as the sea lions openly mocked my every move. In my so-called golf career, I had managed to hit the shots that counted on the most memorable holes. 17th at TPC at Sawgrass: two-for-two on finding the island green. The Road Hole at St. Andrews: cleared the shed off the tee (barely). My luck ran out on the 16th at Cypress, and I went through the motions on the final two holes. Not even a par off the trees on the ridiculously tight closing hole could sooth the bitter taste of disappointment from failing so miserably on the one shot that mattered. Dejection or not, the experience of playing Cypress Point was one I'll never forget. I just hope I get another chance to redeem myself someday. 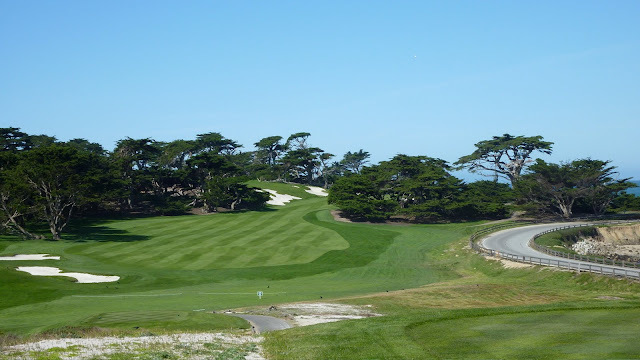 After thinking about it for a couple weeks, I penciled Cypress Point in the top spot in my ever growing course list (which hit 300 the next day at the Shore course at Monterey Peninsula Country Club, played in a driving rain and 30 mph winds). I could wake up tomorrow and flip-flop it with Ballyneal, that's how close #1 and #2 are in my mind. 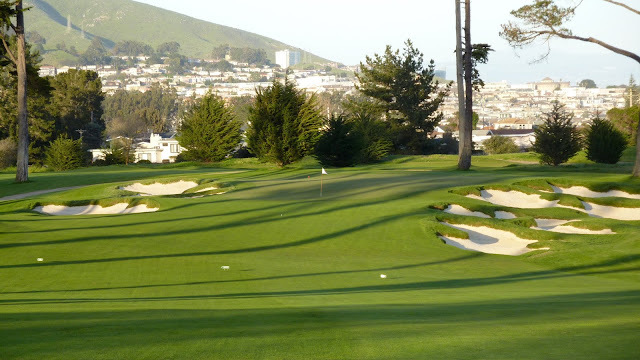 There seems to be a top tier of golf courses that are head and shoulders above the rest, and it's almost fruitless trying to differentiate between them. Maybe that's why Tom Doak doesn't distinguish among the '10's' in his Confidential Guide . 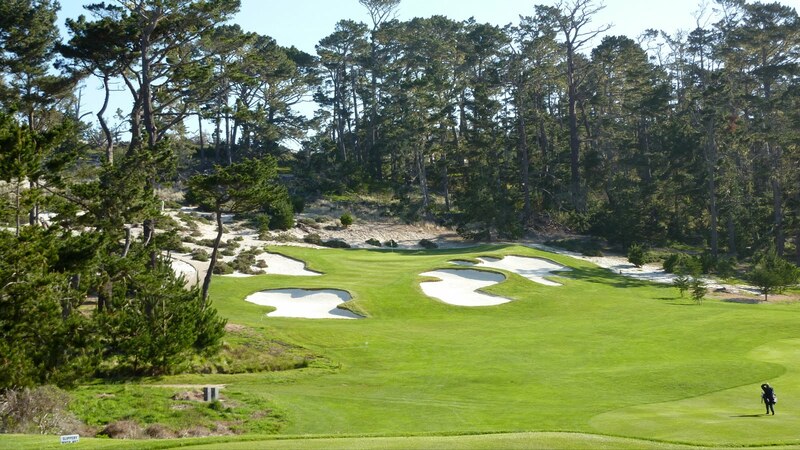 But for now, Cypress Point holds the top spot. Maybe I just have a soft spot for the scenic beauty of the Monterey Peninsula. Maybe it's simply in my blood. You see, one of the founding fathers of Monterey and California is Walter Colton, a distant ancestor. Colton was alcalde of Monterey, serving as judge, sheriff and governor over much of Northern California right before the gold rush. 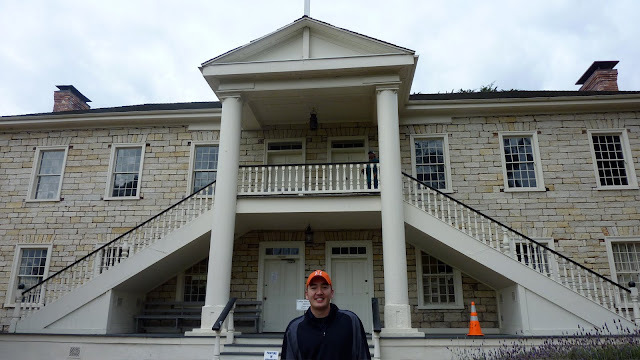 He constructed Colton Hall in downtown Monterey, which is where the California Constitution was signed in 1849. I made Kyle and Scott drive me over to Colton Hall (now a museum) Friday morning so I could celebrate my family heritage (and make my parents happy). The more I learned about Uncle Wally, the more I could see the similarities between him and me. We both look dashing in a suit. Walter published a journal about his three years in California (aptly titled "Three Years in California "). 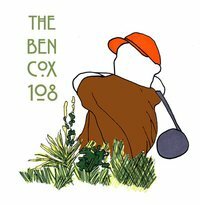 I published a book about four years golfing around the country. I can't help but think the natural beauty of the surroundings is what first attracted him to the area. In his book, he wrote "The scenery around Monterey and the locale of the town arrest the first glance of the stranger. The wild waving background of forest feathered cliffs, the green slopes and the glimmering walls of the white dwellings and the dash of the billows on the sparkling sands of the bay fix and charm the eye." Green slopes? Sparkling sands? If that doesn't scream closet golf addict, I don't know what does. Do you think that qualifies me for some kind of legacy membership at C-Prizzle? Hey, I had to ask. Great read! 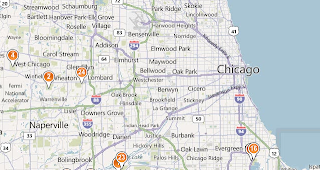 I lived there for six years and hung on every descriptive word. Very Cool about being the Alcalde. There's got to be some juice in that. Supply them with provenance and dare them to say no. Zorro might live again. Fantastic read and pictures. Haha @ Shot Tracker. As usual, great writing Jim. 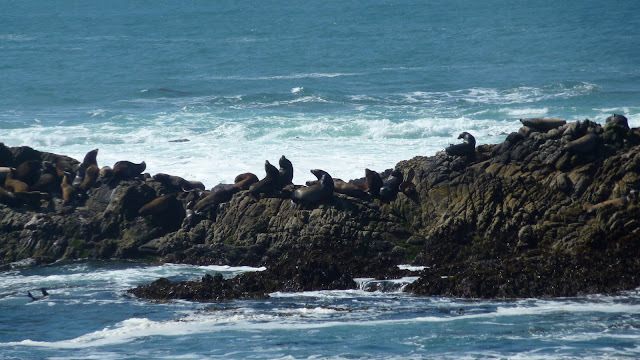 I've been waiting to read about your trip to the Monterey Peninsula and it didn't disappoint. Congrats on playing CPC! 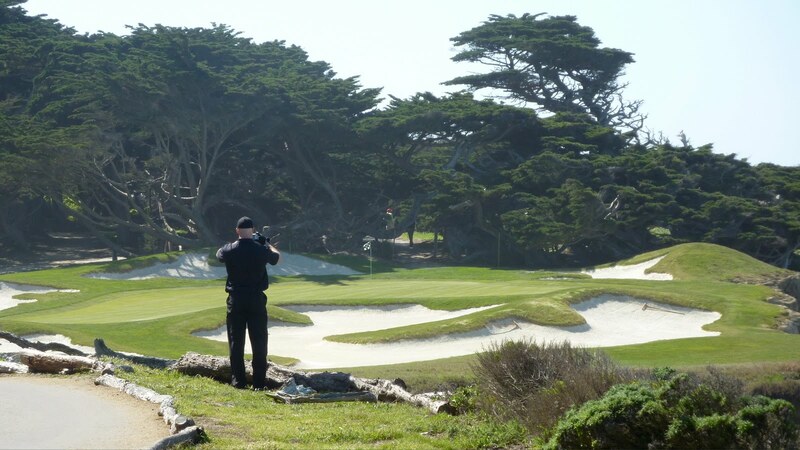 Marion Hollins contribution to Cypress point has never been fully recognized except by Mackenzie. Alistair wanted the 16th to be a par 4 yet Marion argued for a one shooter. She felt the hole would be a great challenge as a par 3. To prove her point she teed up where the present box is today and slammed a 225 drive and said that is where the green should be. 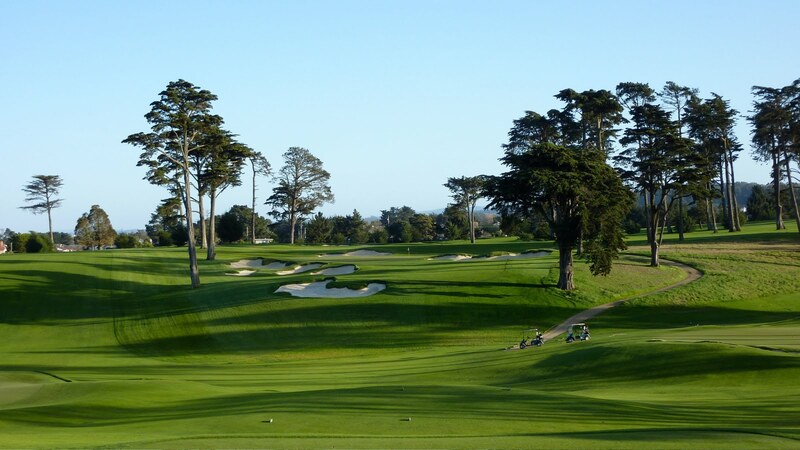 The 16th at Cypress should be always known as Marion's Challenge. 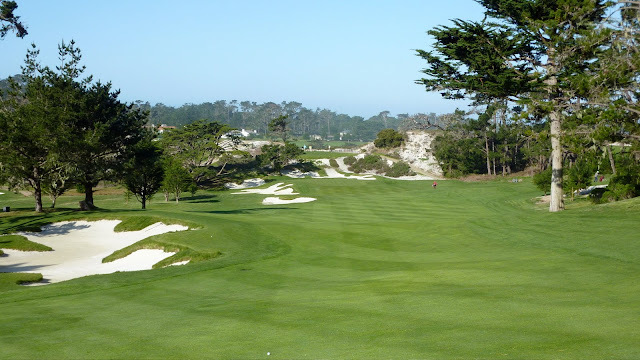 In the middle of reading The Match and went to Google Images to look at pics of Cypress Point. I stumbled upon your blog and am so happy I did. Great story.